Criteria: Songs and Artists are ranked based on their international popularity, impact, credibility and historical regional importance. Background: The term urban was initially used commercially by the music industry since the mid 2000's (in the United States created the term "Hurban"), but artists and audiences have accepted the term to give it a pan-Latino context that turns on the grassroots of hip hop in Latin America and does not deny the influences that have been embraced since the mid 80's, as the connection of reggae in Panama or the Latin Alternative movement in South America. All this has resulted in heterogeneous cultures that claims their own features. Latin rap has evolved over disjointed scenes by different countries. Scenes such as Mexico and Chile have been more influenced by bands from the U.S. scene (such as Cypress Hill), while countries as Colombia and Cuba have been more influenced by the scene of Latin alternative music. On the other hand, Puerto Rico -the first country which rap was introduced- and Panama have had a symbiotic coexistence with the movement of "reggae en español" (especially ragga and dancehall) which evolution gave birth to reggaeton, a genre that have had a commercial boom over all the Americas. Very few artists have had international recognition and credibility at a time, but some of his songs have been become anthems of the Latin urban movement, among hip hop, latin alternative rap and raggaeton songs. Artists that combine different latin amercan styles - especially caribbean (bachata, merengue, etc)- with R&B or pop rap music and their lyrics are more oriented to popular love songs and party anthems getting success into the commercial radio stations. Vico C and El General are considered as "The Fathers of Reggaeton" but his influences have been different during their music careers. 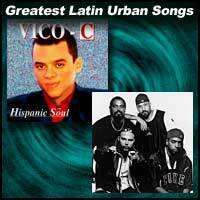 Vico C was inspired by The Old School American Rap and El General initially took as music reference the Jamaican dancehall. Although Vico C was the first act to get into the US Latin Billboard charts, the first album that achieves more than half a million copies were Control Machete's "Mucho Barato" (1996) which obtained many gold records in several Latin American countries. MTV has been important in the broadcast of latin urban music. In 1995, the videoclip "Abarajame" of Illya Kuryaki & The Valderramas had a heavy rotation on MTV Latin America. El General's "Muévelo" won 1991 Video Music Awards for MTV Internacional category and in last years Daddy Yankee and Wisin & Yandel have been nominated in major categories on the VMA's. During 2008 and 2010 there was a Latin Urban Album category at the Grammy Awards. The only winners were Calle 13 and Wisin & Yandel. 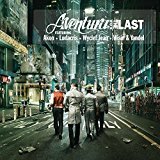 Another acts like Vico C, Akwid or Ana Tijoux have been nominated for Best Latin Rock or Alternative Album in other years. Mala Rodriguez was the first artist to make the crossover from Spain to the Americas and has collaborated with artists like Vico C, Tego Calderon and Calle 13. While reggaeton is a genre widely throughout Latin America, some acts -especially outside the Caribbean area-, reject it for its banality and promote promiscuity. However, the most popular reggaeton artists have put aside those lyrics to get into commercial radio stations. Toy Selectah, ex-member of Control Machete, says that Machete Music (an urban music label owned by Universal Music Group that signed acts like Wisin & Yandel and Don Omar) took the name of the band because of an idea of its president Gustavo Lopez, while he was working on it as an A&R. Cypress Hill was the only band to record rap albums in both English and Spanish and entering the Billboard charts with all its records. Collaborations are so diverse that include artists such as Fermin IV (ex-Control Machete), Psycho Realm, Tego Calderón or Pitbull.